Jordan Spieth's efforts to get his game back on track before the season's first major continue. Struggling for much of the season, Spieth showed brief signs of his former self last week in Austin before failing to advance from group play. Thursday at the Valero Texas Open, he put together a solid round of 4-under 68 in what he described as "ideal scoring conditions" to move into a tie for sixth, two shots behind Si Woo Kim. Spieth hit 12 of 18 greens in regulation but saved par on each of the six he missed, carding five birdies and suffering his lone dropped shot when he three-putted from over 60 feet on No. 15. The 68 marks his best stroke-play round since an opening 64 at the Genesis Open. 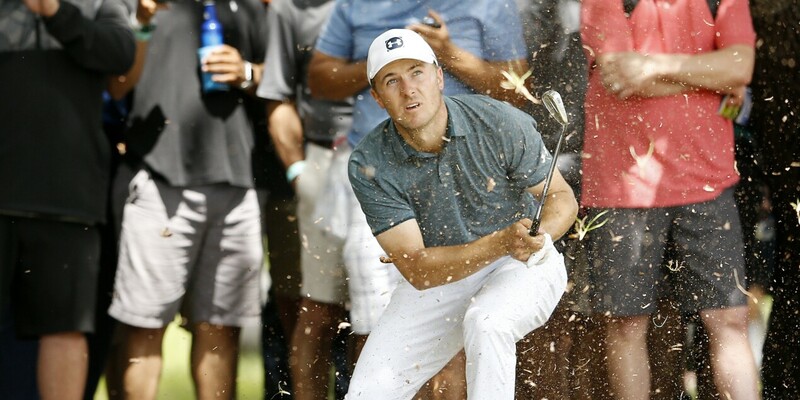 "Other than one three-putt, it was kind of a bogey-free type round, putting myself in position on those approach shots to make par at worse," Spieth said. "The swing's getting there. The putting stroke feels really good. It's progressing day-to-day, just didn't quite get the ball to the hole enough."